I wrote this article with Will Richardson several years ago. I had someone point me back to it recently and I figured I would update it with some more current info and insight. For the past 9 years I have had the pleasure of working with some of the best videographers and photographers in the industry to make our show. Making a show about kayak fishing would seem to be no harder than making any other fishing show, but let me tell you, that couldn’t be further from the truth. We have a few unique challenges that we face: We travel to a variety of countries and places, and each one has its own set of rules, power supplies (or lack of), and weather conditions. Kayaks are by nature always wet, which makes it almost impossible to keep gear dry, and finally, unlike on a big boat where the videographer can hover over the anglers shoulder to get the perfect shot. On a kayak, everyone gets spread out, and the person to hook up is always the guy farthest away from the camera. (hint) If you are going to focus on just shooting consider adding a Torqeedo motor to your kayak, truly hands free propulsion and allows you to hold your camera good and steady. 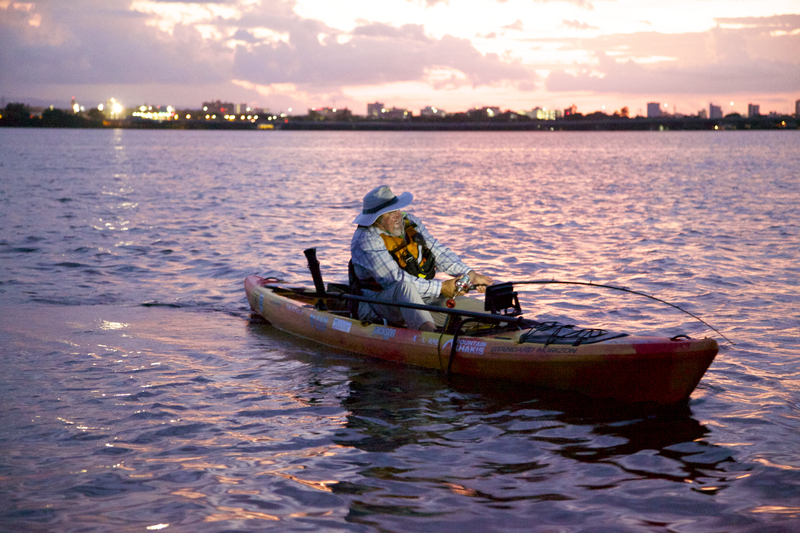 This month, I thought (with the help of our videographer and photographer Will Richardson) I would give you some tips to get great photos and video from your kayak, and in fact, a lot of these tricks will work from any boat. The biggest issue you are going to face is waterproofing your gear. In 4 years we have lost a total of 4 cameras to the water. Water and cameras just don’t mix. For most people it is best to simply invest in a good waterproof point and shoot camera. These days the cost has really come down, and they will give you the freedom to stop worrying about keeping your camera in a watertight box, and just have it ready to take a shot. Our pro photographers need better cameras, and as of yet they don’t make DSLR cameras in waterproof, though they are getting pretty close. Several of the photographers have employed an amazing dry bag from Watershed Dry Bags. The lining is padded to protect your camera from banging around in the kayak, and even after being flushed down a serious set of rapids and rolled in the surf, not a drop of water has gotten inside. If you are on a big boat and have the room, a waterproof and padded case from Pelican is a great way to go, but very impractical on a Kayak. The Watershed bag can easily stow away in the bow of the Kayak, center hatch on my Jackson Kayak. If you have a few bucks to invest in gear, another handy piece of gear is a EWA Marine underwater soft plastic housing. They make them for almost any camera, and will allow you to take shallow underwater shots, as well as keep taking photos or video in very rough conditions with your high end cameras. Most people don’t have to travel as much as I do, so this is not as large an issue. But if you are taking a trip to somewhere exotic to fish, you will want to take a lot of shots, and nothing is worse than catching the big fish, only to find you are out of power and can’t take home the proof. Sounds simple, but always remember to bring a spare battery and memory card, and always, research the type of power/plugs you are going to encounter in the host country. If there will be no power on your trip, such as a back country or long distance camping trip, there are a few great power solutions. Huge leaps in the quality of solar power have allowed us to charge up big production cameras and even laptops while we are away from the juice for more than 6 days at a time. Goal Zero has ended most of our power issues when at remote locations with a variety of solar panel and backup battery options. The last issue is how to capture the moment when the moment hits. One thing I know is that it can be very tough to predict when a fish is going to bite. 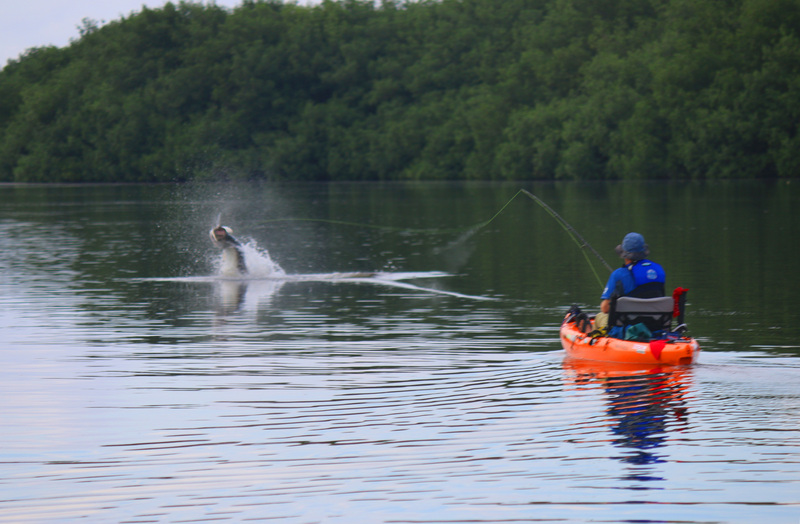 It is almost impossible to be there to get the cool hook up shot, or to snap a pick of that topwater explosion. The only solution is to have a camera running all the time. This is pretty easy to do with your GoPro or other POV camera though you do need to be aware of battery life. I think often as fisherman we have a good feel for when the bite might turn on so it’s never a bad idea to just turn the camera on when you have that feeling and let it run for a while. Another option for great stills and decent video on the water is your run of the mill iPhone…Now is when you say “But Jim! You are talking madness, I am not gonna bring my iPhone on my kayak!” Well I have great news for you, waterproof cases for the iPhone and Galaxy phones are now available from Lifeproof and Pelican . You can still use the whole phone, including the camera, in or out of the water. They also have a floating Lifejacket, which protects your phone when dropped and makes sure the iPhone will float if you drop it off your yak. As far as how to get the best looking video or still shots of your fish… well here are a few secrets I can pass along from my photographer friends. 1) Still shots of you holding a limp fish and smiling are never as cool as one of you fighting, landing or dealing with a fish. Hand your camera off to a friend and get him to shoot the action, not just the results. 2) Fill the frame! People want to see the fish, not a ton of water, fill the picture with you, the fish, the kayak and get as close to the action as possible. 3) Prepare for the action! The ultimate fighting shot has both the angler and the fish in it. Either shoot over the anglers shoulder, get in front of the fight so you can hopefully get a shot of the fish jumping in front of the angler, or shoot very wide so that the angler and the potential fish are both in your frame. 5) When you do have jumping fish or good topwater action put your camera on rapid fire, this eliminates some of the digital lag and ensure you get the shot of the fish in the air not just the splash. 6) Play with different shooting angles, low angle shots looking up at the angler make for an interesting shot. 8) Get the underwater shot, these shots can add so much to the interest of your video and with the waterproof housings available there is not excuse not to dunk that camera. Be sure you have the attached leash or float if you do this, we learned the hard way years ago, GoPros sink. 9) Avoid the crotch shot!!! 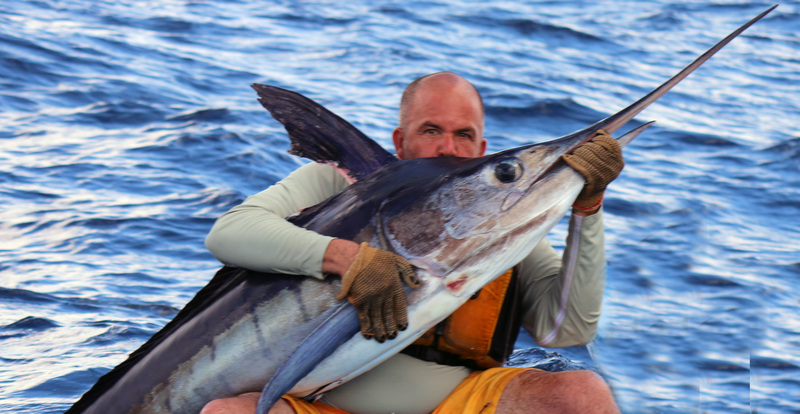 I don’t know about you but I am just not into looking at someone’s groin while they are grunting away on a fish, yet we seem to see this shot all to often in peoples Youtube kayak fishing videos. So if you are shooting video from a rear facing camera, think of getting the camera up off the deck of the kayak a bit and angle the camera up a bit higher, I and the other viewers of your videos with thank you. 10) Avoid the death metal music. This music may appeal to you but In know that it doesn’t appeal to most and for someone perhaps watching a video while in an office , clicking on a video and having blasting head banger music is usually not a good thing and will get them to click off your video very fast. 11) Invest in secondary cameras. If you want to take your videos to the next level invest in another camera other than a POV. There are a couple guys that are making videos that are 100% POV that are top quality but not many. The quality of the video and audio on other cameras will really up your game. Add a lav mic if you really want to do much dialog in your videos, the audio is so much better than you will get from the camera mic. 12) Try to tell a story in your videos. Even a three minute video can tell a story and if you tell a good story people are more likely to watch and share. GoPro has rather cornered the market on POV cameras over the past few years but there are many options out there, many of which have some incredible features or will get you into on the water shooting for a bit less money. So take a look at some of these options. I know a camera we are excited about taking a look at is the Flir FX, this camera has a lot of uses and some pretty interesting features that we are looking forward to putting to the test. To finish off, a bit of light editing on your video and your pictures will go a long way to making the best impact when you show them off. You want to keep those YouTube videos short. (unless it is a big marlin or Tarpon with nonstop action) Chop em down and focus on the best action from the fight, YouTube viewers don’t seem to stick around for the long videos. I love watching fishing videos but a ten minute video of you just pumping and winding gets boring real quick. If you can get the hook up, some of the fighting and then the landing, unless the fish is a real jumper or thrashing on the surface, all of this should make for a video of three minutes or less. Though this is a promotional video for one of our sponsors it is a pretty good example of the length that most people are willing to watch. For Photos, delete any and all shots that are out of focus, or badly framed right off top. It will make it easier to pull out the best shot later. I usually do very little editing after the fact, just find one that is in great focus that shows the fishing action the best, then maybe pump up the saturation and brighten up the shadows a little if it was a really sunny day. Those are some really awesome shots! I’m not a kayak fisherman, but I’ve always heard that you tend to get wet when fishing from one. If that’s the case, you must have some sort of protection for your cameras. Are there any kind of waterproof cases you recommend?